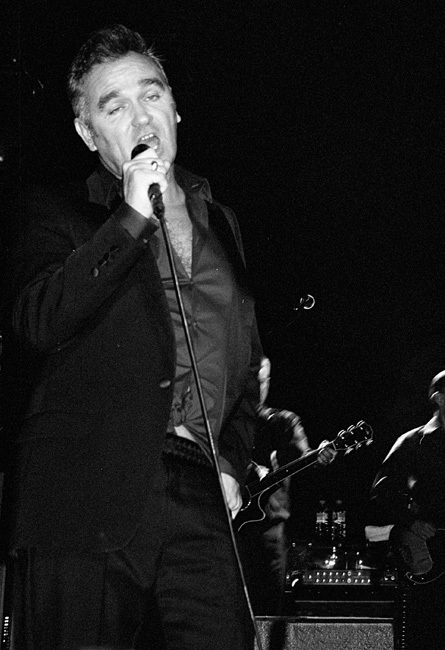 We went to see Morrissey at Greenock Town Hall on Wednesday night and it was a great show. Unfortunately all I was able to get past security was my Nikon compact, which was loaded with Fuji Neopan 400. I have adjusted the contrast a bit, as the images were generally flat. I'm posting this shot, more a reminder of the show and a thank you to Norrie for getting us the tickets, than anything else.